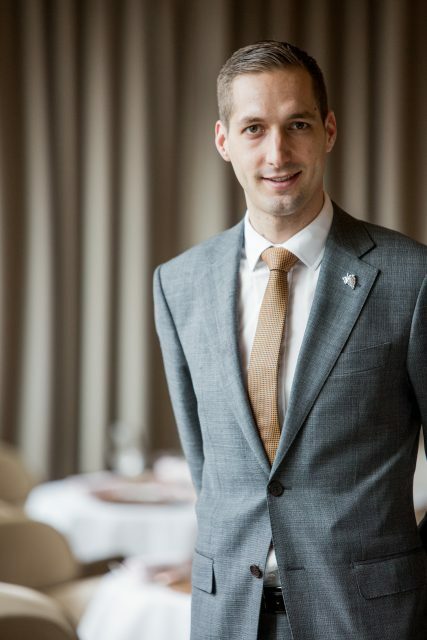 Hailing from Belgium, Desport oversees the list at three-Michelin-starred fine-dining institution Alain Ducasse at The Dorchester. Desport commands a 1,000-strong list of mostly French wines, paying particular attention to pairings, created with executive chef Jean-Philippe Blondet. “I am convinced that the basics of good food and wine come from responsible sourcing and production,” he says. “With my passion for both subjects, it is inspiring to hear Alain Ducasse speak about his restaurants and philosophy. The origins of a product play a very big part in his cuisine – using only seasonal ingredients from producers that share his values.” Today a key figure in London’s on-trade, Desport’s first foray into wine began as an intern at Ducasse’s Le Louis XV in Monaco when he was 19. Setting the tone for his future career path, in 2010 he moved to London, as commis sommelier at Alain Ducasse at The Dorchester. Two years later he left the Ducasse fold (briefly), and relocated to Paris, working at the vertiginous Le Jules Verne, the restaurant located in the Eiffel Tower. But the Ducasse empire was never far from his heart. During his two years in the Tower, Desport assisted in numerous Ducasse Paris restaurants, including Aux Lyonnais, Benoit, and the fish restaurant, Rech. Of those early days, the diligent Desport only wishes he had studied more.